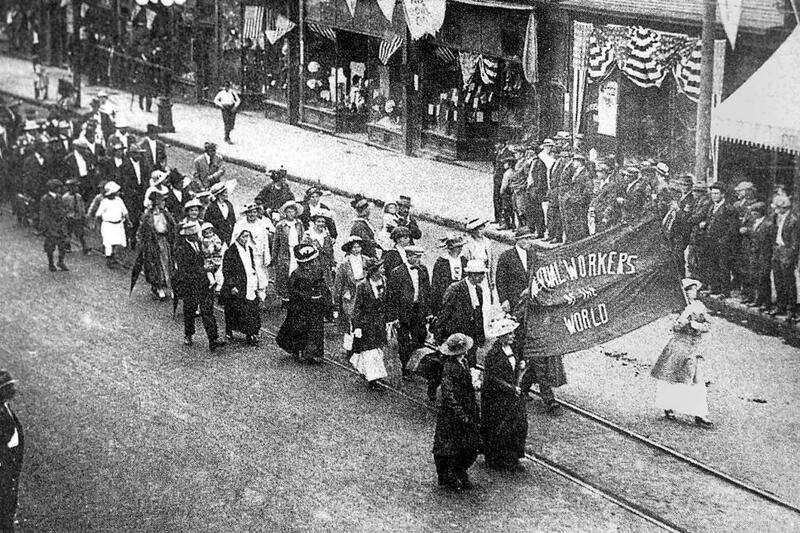 A fantastic oral history of the revolutionary Industrial Workers of the World union, based on interviews done for the award-winning documentary, The Wobblies (1979). Compiled by filmmakers Stewart Bird and academy-award-winning director Deborah Shaffer, with historical introductions to each section of interviews by labor historian Dan Georgakas. Contains accounts and articles by Bruce "Utah" Phillips, Jack Miller, Joseph Murphy, Sophie Cohen, Irma Lombardi, Dominic Mignone, Irving Abrams, Henry Pfaff, Vaino Konga, Irving Hanson, Jack Miller, Nels Peterson, Violet Miller, Mike Foudy, Katie Pintek, Roger Baldwin, Art Shields, George Hodin, Fania Steelink, Frank Cedervall, James Fair, Fred Hansen, Phil Melman, Art Nurse, Nicolaas Steelink, Tom Scribner, Fred Thompson and Ralph Chaplin. I'm excited to have this book online at last. It's been awhile since I read it but it's one of my favourite "political" books I've ever read, a really excellent set of first person accounts. There are issues with the book. Steamships and railroad lines are confused, non-English words routinely wrong, different accounts conflated (Fred Thompson's two trials become one, with the number of defendants affected). People express patriotic sentiments that in letters they strongly denied ever having uttered. It seems the transcriptions were by people not familiar with the underlying facts, and did not afford the subjects the opportunity to review and correct them.